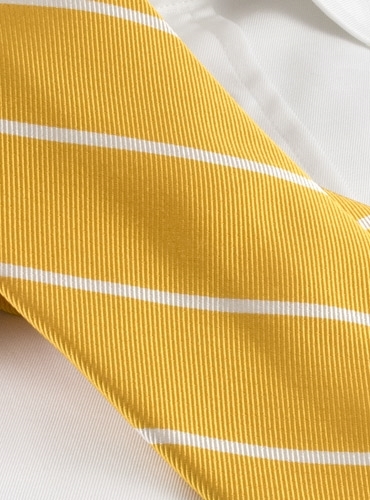 Mogador woven tie in a sun ground with thin white bar stripes. 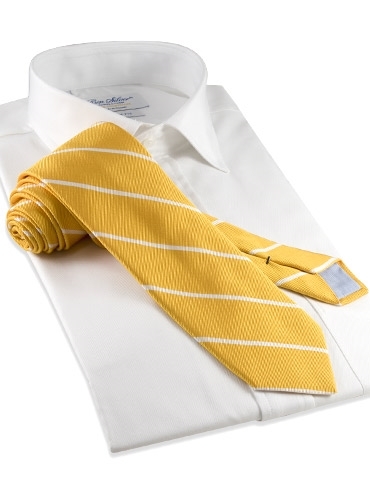 60% silk, 40% cotton. Handmade in Italy.